If there’s one film scene which everyone remembers it’s the bike chase in The Great Escape. After dozens of failed escape attempts ‘The Cooler King’, played by the inimitable Steve McQueen, finally makes it to within sight of freedom. He roars across the countryside on his stolen BMW pursued by a hoard of manic Nazi motorcyclists intent on his death. With no possible escape, great or otherwise, our hero chooses a glorious finale. 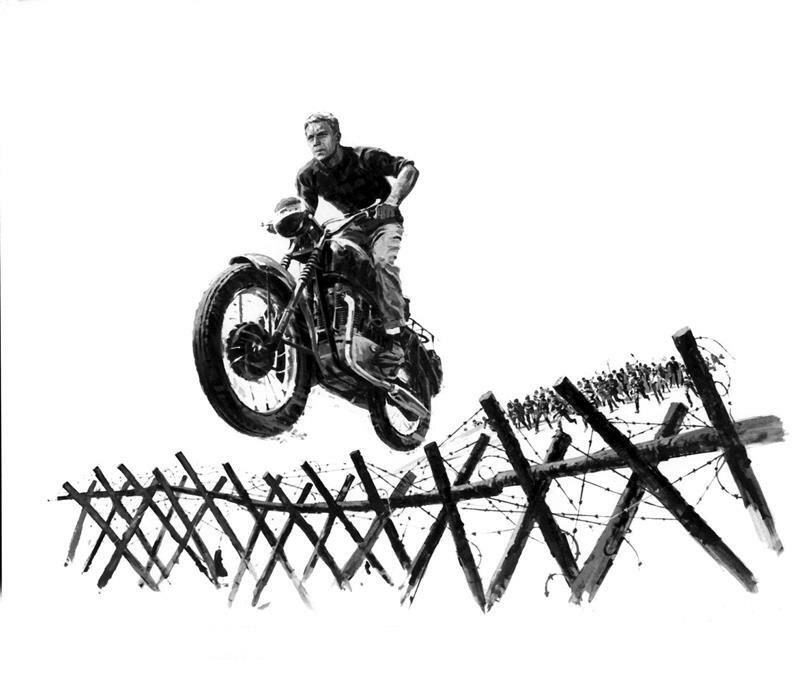 Winding the bike up to maximum revs, he makes an incredible jump across the 12-foot high barbed wire fence. Stuck in No Man’s Land he roars about a bit before crashing into another fence. He’s then led away by the Nazis and thrown back into solitary. It’s brilliant cinema – but the story behind the filming of this scene is an epic in itself. 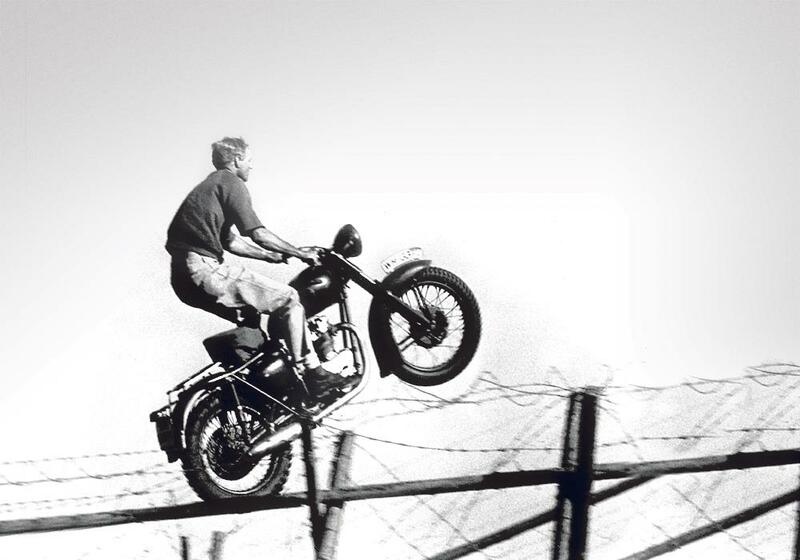 Although McQueen did not jump the fence himself, he was far more than just an actor who could ride motorcycles. In fact, he was an international quality racer and an avid motorcycle fan. And the man who had introduced Steve to motorcycles was Bud Ekins - a legend amongst Californian bike racers. Bud learned to ride on the fire roads that, in those halcyon days, began in the hills directly behind his dad’s North Hollywood welding shop, in what is now almost central Los Angeles. The 19-year-old Ekins’ first bike was a Harley but he longed for the light, fast British bikes that turned so much better on the dirt . 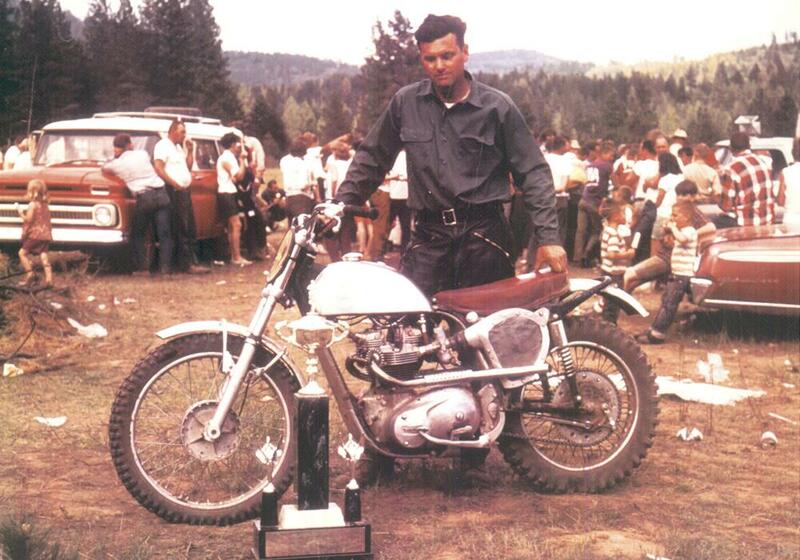 Soon he was riding a 500cc Matchless G.80 - and winning Hare & Hounds events all over California. Then in 1950 he saw a film about European scrambling and was determined to see whether he could match the Europeans at their own game. 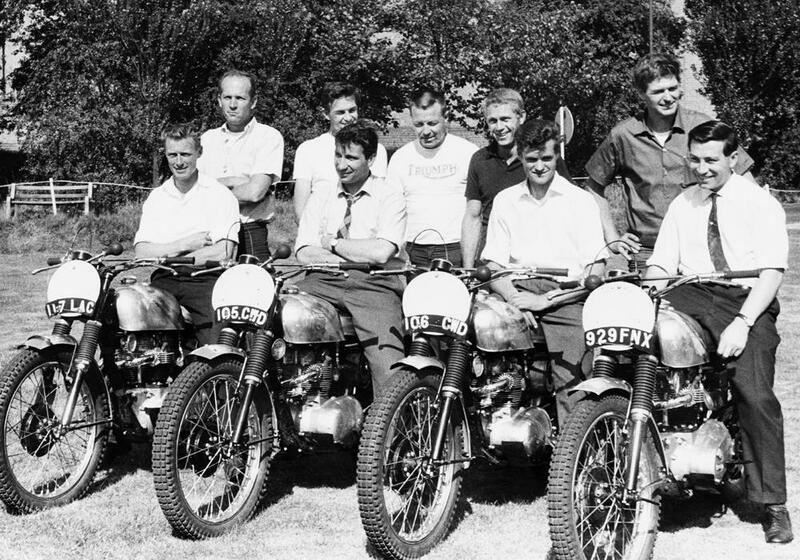 Bud proved able to match the best of the British off-road riders and ran in the top 10 at many national meetings. Bud’s prowess as a rider was matched by his business skills and in 1955 he became a Triumph dealer. In a few years, he had become the biggest Triumph dealer in the world with a turnover topping £500,000 – at a time when a nice detached house in Britain was £2000! On the way, he became the first American to master the rigours of the International Six Days Trial, winning four Gold Medals, and dominated the classic American races like the Big Bear Run and the Catalina Grand Prix. In between racing and selling bikes, Bud appeared in over 500 films during 25 years as a stuntman and co-ordinator. 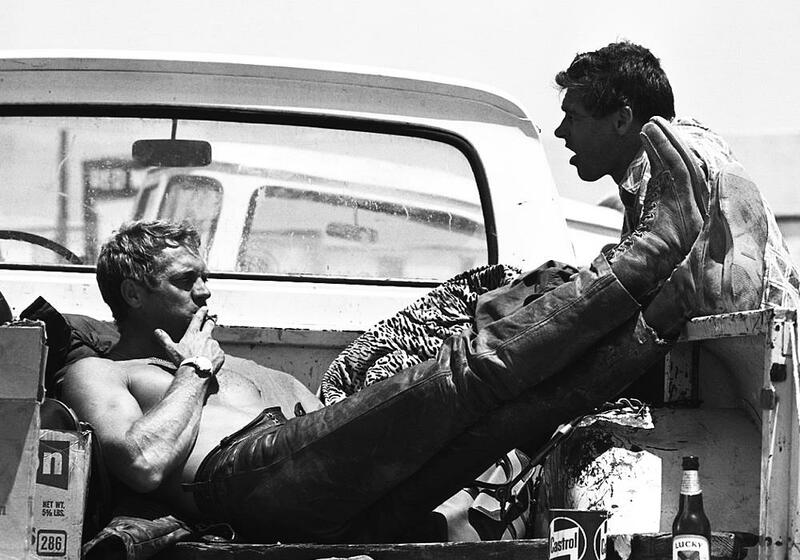 Bullitt, another McQueen epic, was also Ekins’ work and one of the wildest films in which he appeared. The Great Escape jump is the one stunt which brought a smile to his face. Bud takes up the story. 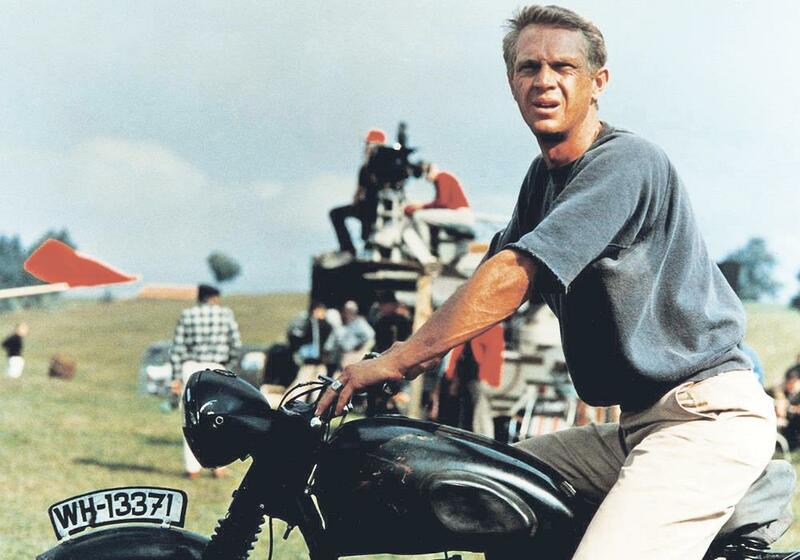 “I’d sort of taught Steve to ride bikes and when he was offered a part in The Great Escape he persuaded director John Sturges to write a bike chase into the script. At the same time Steve insisted that he would only work with me. “I’d never done film work so when I went for an interview I bought a new shirt, tie and a suit - but I needn’t have bothered because Steve picked me up in his D-Type Jaguar dressed as he always was in Levis and an old T-shirt. “I didn’t hear anything for four weeks, and then the studio called and said to collect my tickets right away and get on a plane for Munich. 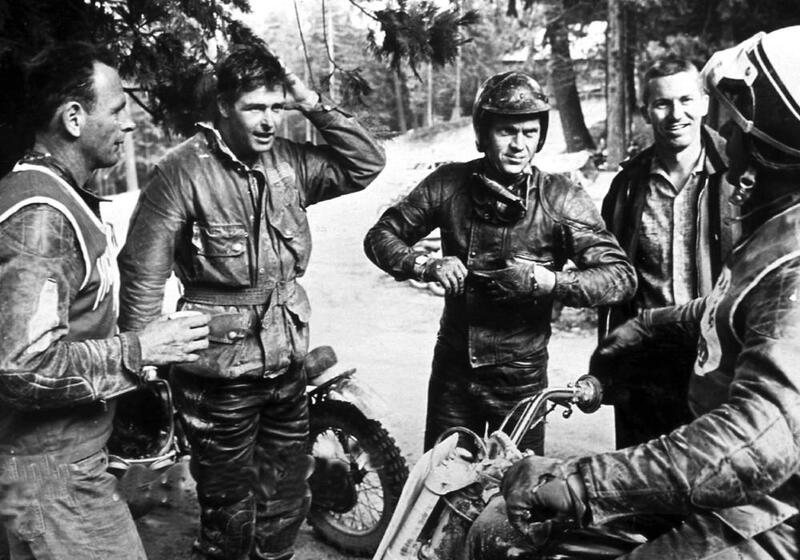 “When we got there the German production manager had hired a couple of pre-war German road race stars but whenever Steve took off they couldn’t even keep him in sight so it wasn’t much of a chase at all. So we tried it with a sidecar but Sturges didn’t like it. “We also had Tim Gibbes working with us - the Aussie motocross champ - so in the end we had Tim and me chasing Steve while the German production guy gave us daggers. There are also shots where Steve chased himself. “The special effects manager worked out the final scene, where Steve has to get through the fence to escape to Switzerland, and then left us to figure out how to do the jump. Tim and me went out early one Sunday with the 650cc Triumph we were using which was supposed to be a side-valve BMW. “We laid out the fence a couple of feet high. Then we dug a ramp out with shovels, about nine or 10 feet long, and I hit the ramp in third gear at about 50mph and cleared the fence easy. “I backed the Triumph off and then got on it hard. When I took off, I throttled right back and it was silent. You know, everything was just silent - the whole crew and everything was just silent. And then when I landed they were cheering like crazy. Today, the thought of using a road bike in a film stunt would be unthinkable. But in 1963 the world was a very different place. In many ways it wasn’t so much which bike would Bud Ekins and Steve McQueen use for The Great Escape but simply that there was only one choice – and that was the fabulous, do-everything, Triumph TR6. A key factor for the film crew was that the TR6 was very much their bike and they knew it back to front – even though it was designed and built in England. Europeans always preferred the TR6’s lighter, more nimble sibling – the 500cc TR5, but the Yanks loved the creamy, instant power of the 650. In fact, the TR6 had come about entirely from the demand by Americans for ‘cubes’. They wanted engines at least as big as the Harleys of the day and so, in 1950, Triumph made the Thunderbird for them. Almost as soon as the Thunderbird arrived in the US, riders began racing it so Triumph encouraged them first with an all-alloy TR6 and later what was effectively a single carb version of the Bonneville – the ‘Great Escape’ bike. It’s easy to stand back and look at a TR6 and smile at the thought of Ekins even thinking about riding a machine which, by modern standards, looks as competent as a Neanderthal stone axe. But the TR6 motor is an absolute peach – not just good, but brilliant. From tickover to around 6000rpm the TR6 provides seamless, instant power. 42bhp doesn’t sound much, but it gave the TR6 world-beating off-road performance, and a genuine 100mph, as McQueen showed in the Tarmac part of the chase scenes. Nothing in the 1960s world could match it. 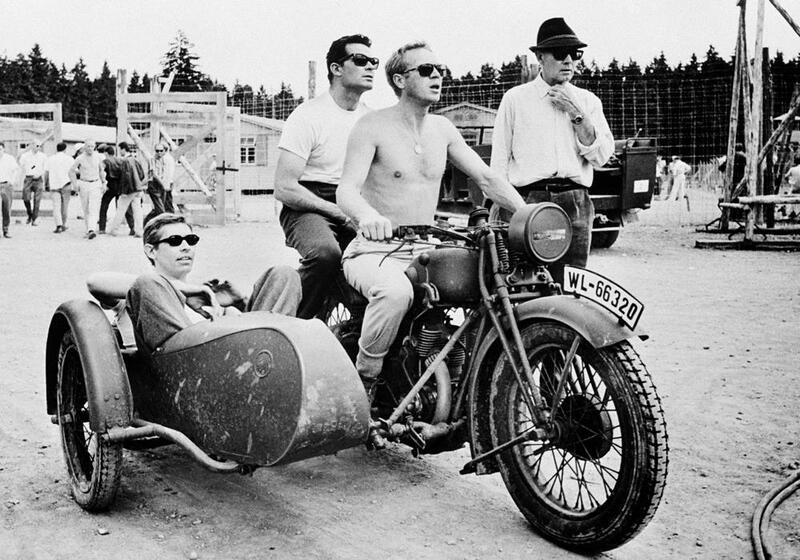 Both McQueen and Ekins knew that whatever they demanded of the TR6 in the film – and McQueen got arrested several times for reckless riding when the crew was not filming – the motorcycles would deliver. Probably the one area which would really frighten us today is the suspension. Triumph’s front fork was dire, offering a nominal 150mm of travel of which only the middle third really worked. Things were no better at the rear end with the oil-damped Girling dampers perhaps even worse than Triumph’s front fork. This is why the jump in The Great Escape is text book perfect for the era. Bud and Tim Gibbes designed the dug-out ramp to ensure that the bike took off in a gentle arc, landing on the back wheel after the 65-foot long, 12-foot high jump. Done this way, the Girlings would bottom out, the frame flex and the front wheel would come down to earth controllably. That’s the theory, and it was possible, as Ekins showed – but only if you also possessed a man-sized set of cojones! You might have seen this shot of Led Zeppelin aboard some Suzukis and wondered what the story was.